Ocean view retreat property, full time residence or you can start off new and build your dream home while living in this cute 2 bedroom, 1 bathroom, 600sqft home, with carport/ workshop. 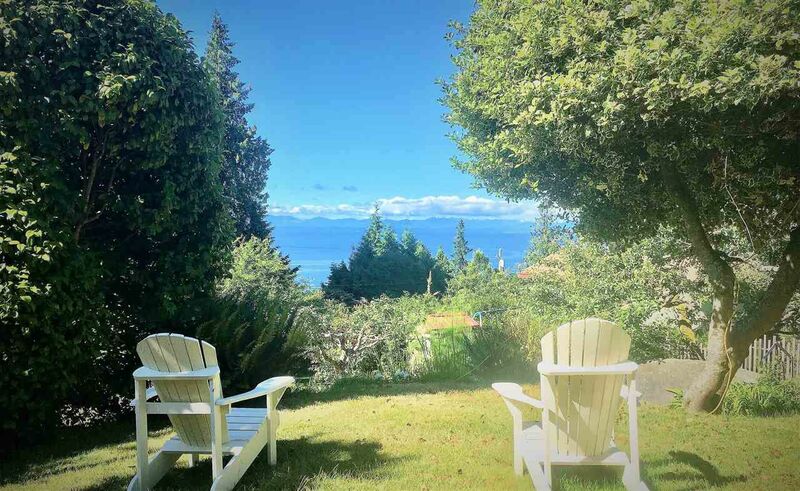 The ocean views are amazing and there are gardens with fruit trees that produce over 500 lbs of fruit each year, a gardener’s dream property. There is a large koy pond in the lower yard, raised gardens for vegetables & berry bushes, 2 storage sheds and the property is located on a no through road that is only a couple blocks from Bonniebrook beach. The lot is fenced and offers lots of privacy. There is plenty of room for parking and access off the Velvet road side of the property with the ocean view off to the south and the west you can enjoy all day sun and catch incredible sunsets at the end of the day.